Honey Bee Goode Apiary is located in Atlanta, GA and was founded by Ashley and Lloyd Hardrick after traveling to London in 2014 and stumbling upon an old bank, “Lloyd’s Bank”. Their interest was peaked after they discovered that the founder of Lloyd’s bank was enamored with beehives, and after returning from their trip, they too became enamored. Lloyd and Ashley are both passionate about honeybees. 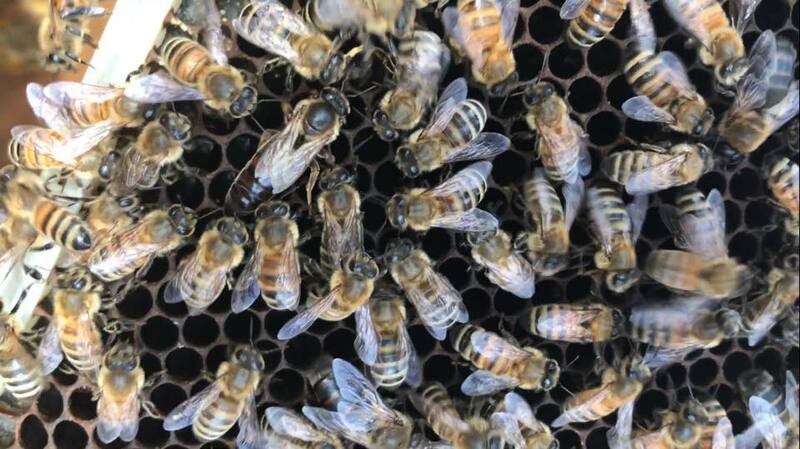 Their mission is to “To teach and educate local communities about the importance of honeybees and to support the community by creating natural pollinator friendly paradises in and around the local communities as safe havens for bee hives.” They operate at several locations in South Fulton and operate an online shop with products from their apiary. Click the link below to listen to their story. The Groundwork podcast is a podcast focused on the lives of farmers of color.